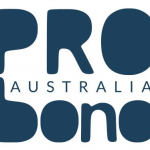 Entries close on 29 March for the Australian Not-for-Profit Technology Awards 2019. Make sure you have your say. If your not-for-profit organisation has been making waves through technology, or you know of an outstanding individual using technology for maximum effect in the sector, it’s time to get your nominations in for the 2019 Australian Not-for-Profit Technology Awards. The annual awards, being presented during a gala dinner at Melbourne Convention and Exhibition Centre on Thursday 9 May, recognise the very best use of technology in the Australian not-for-profit sector. With categories up for grabs including Best Accidental IT Person, Best Digital Storytelling by an Indigenous Australian, Best Social Media Campaign, and Best Government Agency, they offer a rare opportunity to recognise the achievements of some of Australia’s greatest unsung heroes. Thanks to the support of private and public sector sponsors, including this year’s Gold Awards Sponsor Netsuite and Drinks Sponsor Platform One, the Australian Not-for-Profit Technology Awards have been a major cheerleader for technology in the not-for-profit sector. Last year’s awards, in Brisbane, attracted a high calibre field of entrants, with Fremantle Sea rescue volunteers, Hear and Say, the Odd Socks Day fundraising campaign, The Song Room, and Keeping Culture Pty Ltd among the finalists. They are a key element of the annual Connecting Up Conference, which takes place from May 8-10 at MCEC, and is focused on digital transformation. The 2019 Transform Conference will see more than 500 non-profit delegates attend master classes on IT strategy, digital transformation, social media and fundraising; two days of plenaries; the Australian Not-for-Profit Leadership Breakfast; and a 35-stand non-profit focused technology exhibition. Speakers will include IBM Watson artificial intelligence and machine learning expert Jodie Sangster, Marketing Week columnist Mark Ritson, IT Security expert Joe Ciancio from Maxsum Consulting, and philanthropy and fundraising researcher Dr Ruth Knight. Using Technology to Connect to the Community – Best Government Agency.